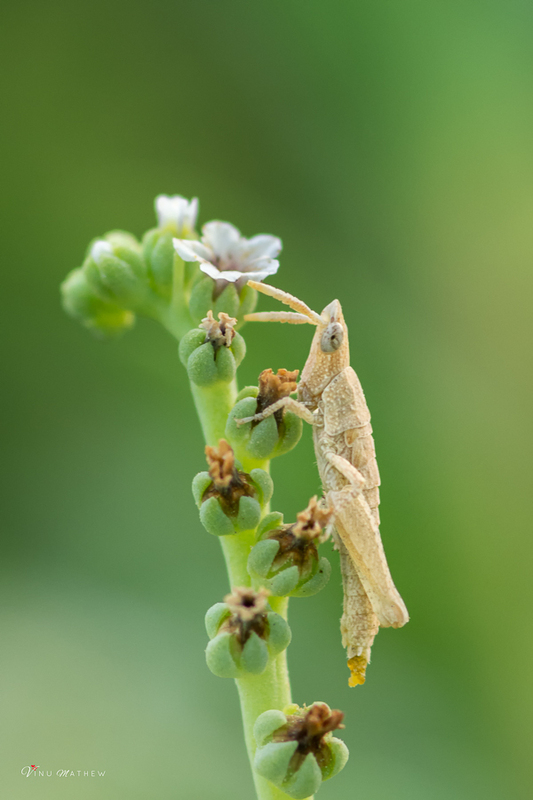 Vinu Mathew took some excellent photos of Hollow Grasshopper Pygomorpha conica in Dhahran recently as already posted. The Hollow Grashopper is found where grass grows in wadis, farms and gardens and is widespread and generally numerous. The grasshoppers vary in size and colour depending on the location. 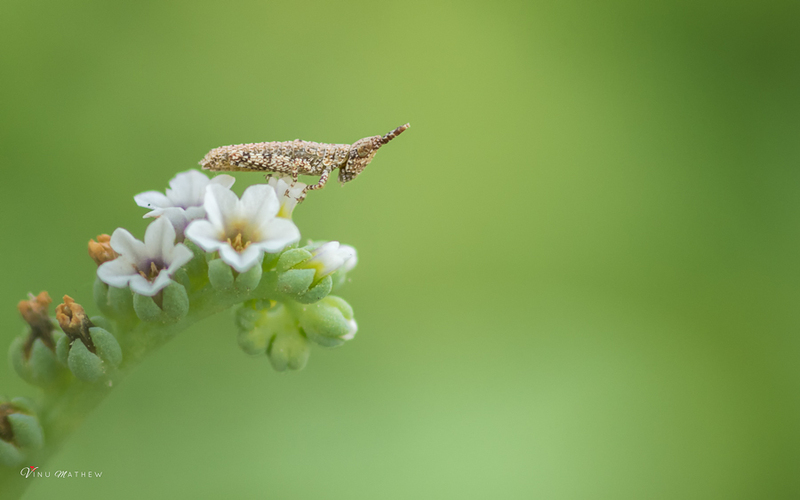 He recently sent me some more photos of a young Hollow Grasshopper and I thank Vinu for allowing me to use his photos which are shown with permission below. Mansur Al Fahad identified the Grasshopper for me as his knowledge is amazing.